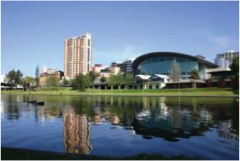 Sustaining our Future through Innovation and Clean Technology is the focus of this Adelaide Series event. Manufacturing in South Australia is an important contributor to the wealth and economic stability of the Australian Economy, with the potential to play an even more strategic role for the nation in coming decades. This exciting event will highlight AMTIL, AIIA and SA Manufacturing success stories in association with Australian Innovation. Tickets are limited for this exclusive Sustainable event, so book early for your place to be reserved.